This is a list of all 'Star Trek' movies, ranked best to worst by fans, casual critics and people like you. This votable list includes every 'Star Trek' film to date. Certainly, several 'Star Trek' films could be considered among the best space movies. Which one is the greatest ever made? That's decided by voters, so be sure to cast your vote up or down for each film listed. Trekkies, this one's for you. Also: You can re-rank this list of great 'Star Trek' films in any order you want. Generally speaking, many 'Star Trek' fans consider 1982's 'Star Trek II: The Wrath of Khan' to be one of the best, if not *the* greatest 'Star Trek' movie ever made. It's hard to deny that this film isn't awesome, with battles between the crew of the starship 'Enterprise' and the evil Khan Noonien Singh. 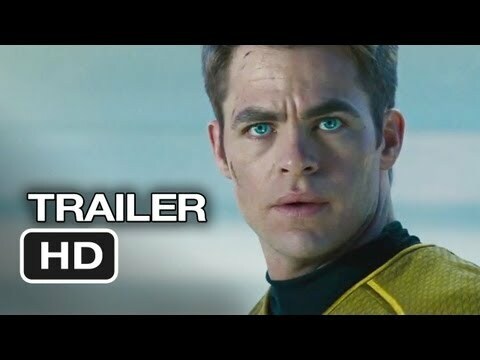 In recent years, the 'Star Trek' movie franchise has enjoyed a revival, thanks in large part to J.J. Abrams' 2009 movie 'Star Trek' and 2013's 'Star Trek Into Darkness.' Where should these modern era 'Star Trek' movies fall in comparison to the classics? Are they also among the greatest sci-fi movies of all time? History will ultimately decide, but for now, you can - by voting!